Christopher Freeze is a Flight Instructor (CFI), certificated by the Federal Aviation Administration (FAA), and providing flying lessons in Northern Virginia (namely, from Leesburg) and the Washington DC area. He is also a FAA-certified Advanced & Instrument Ground Instructor, and one of the few persons in the United States authorized to conduct safety seminar training under the FAA's "WINGS - Pilot Proficiency Program" as a commercial training provider, and is a FAA Safety Team Representative. A native of Alaska, Christopher studied aerospace engineering throughout the western United States, has written articles for several aviation publications, including 'AOPA Pilot' and 'General Aviation News', and "EAA Sport Aviation" as well as co-authored two books on his hobby, aviation archaeology. He is a life member of the Aircraft Owners and Pilots Association (AOPA), National Association of Flight Instructors (NAFI), Experimental Aircraft Association (EAA), and California Pilots Association, as well as an annual member of the National Aeronautic Association, and holds a world speed record in aviation, which he set in 2009. In 2010, Christopher accepted a teaching position, instructing at Oakland Aviation High School, one of the few aerospace education charter schools in the U.S. Although the school closed after his first years there, Christopher was recognized as a NASA Explorer Teacher, and participated in specialized training, constructing payloads for high-altitude balloons as part of the Wallops Balloon Experience for Educators (WBEE) at the Columbia Scientific Balloon Facility (CSBF) in Palestine, Texas, as well as microgravity research and education techniques at Glenn Research Center in Cleveland, Ohio. While in Ohio, he made a pilgrimage to Dayton, where the Wright Brothers first built and tested their aircraft designs, and the home of the National Museum of the U.S. Air Force. An adventurous spirit, he has flown many of the unique airspaces of the United States, including the Los Angeles basin (even landing upon and taking off from the storied "One-Six-Right" of Van Nuys Airport (VNY)), the NASA Shuttle Landing Facility (TTS) at Cape Canaveral, Florida, the Hudson River corridor of New York City, and operated at all three of the general aviation airports (CGS, W32, and VKX) located in the Washington DC "Flight Restricted Zone". He has also trained at the American Airlines Training Academy in Fort Worth, Texas, and at JetBlue University in Orlando, Florida, and worked as a contract research simulator "pseudo-pilot" at the NASA Ames Research Center near Mountain View, California. A recent highlight was flying into First Flight Airport (FFA) at Kill Devil Hills, North Carolina, where the Wright Brothers first successfully flew in 1903. In 2012, he proudly joined the staff of the AOPA Foundation's Air Safety Institute - the world's largest and most recognized non-governmental safety organization devoted to general aviation - on a full-time basis. With AOPA, he regularly works with leading experts in aviation safety, flight training, and the advancement of aviation. 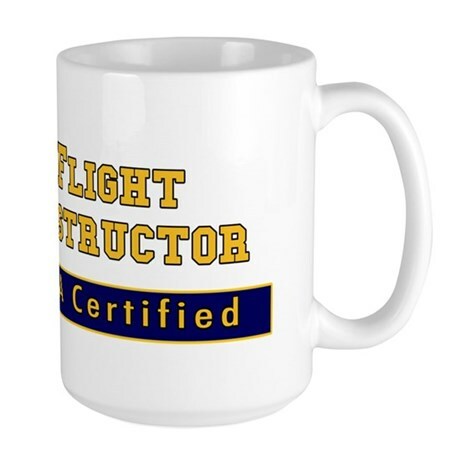 His first major project, completed in June of 2013, was the updating of the online Flight Instructor Refresher Course (eFIRC), directly influencing the teaching practices and habits of thousands of CFIs worldwide. In 2013, Christopher earned his Airline Transport Pilot (ATP-ASEL) certificate - the highest level of certification attainable from the FAA. In September of that year, he was selected, as part of a nationwide poll, as one of the 12 top flight training professionals, as a finalist in the annual AOPA Flight Training Excellence Awards. He was the only individual CFI chosen west of the Rocky Mountains. He also earned his seaplane rating that autumn with Seaplane Adventures, describing it as "aside from flying with my clients, the most fun I've had in a plane." He also begun instructing with Alameda Aero Club at Oakland International Airport, and their fleet of two Cessna 172s and one Piper Archer. In 2014, after ten years of pining, Christopher completed the pilgrimage to the EAA AirVenture in Oshkosh, Wisconsin, flying across the nation in a Cessna 182 RG, as part of the Hayward Air Rally, an aerial challenge of a pilot's flight planning, navigation and pilotage skills, without the guidance of a GPS. He returned to OSH three years later to speak in the Forums to share information on how other pilots can set aviation world records. He also has worked for NASA's Ames Research Center, assisting in the development of the Spot and Runway Departure Advisor (SARDA) and was the first pilot in the United States to earn an FAA "Remote Pilot - Small Unmanned Aircraft Systems" certificate in 2017. In 2016, Christopher relocated to the Washington D.C. area for a unique career opportunity, and brought with him the vast experiences carried in his 3,000+ hours of flight instruction. As of 2018, he has flown to over 150 different airports in 23 states. His home airport, located in Leesburg, Virginia, is an outstanding location for flight training, due to the easy access to two nearby practice areas, several uncontrolled, as well as towered / controlled airports within a short distance, and the opportunity to fly and work in the busy "Class Bravo" airspace of the Washington DC Special Flight Rules Area. And he would love to open the door to your flying career, whether for personal or professional purposes, today! Christopher offers flying lessons for Private Pilot, Commercial Pilot, and Airline Transport Pilot certificates, those seeking to become Flight Instructors, as well as for those looking to add on, maintain, or renew, their Instrument ratings. Teaching on a part-time basis, Chris has a flexible schedule that can suit your needs as a student pilot. He also has instructing privileges at Oakland International Airport in Alameda county. He is also an experienced ferry pilot, and qualified to provide training for high performance, complex, and pressurized aircraft. To contact Christopher, click here to e-mail him - and we can see about taking your first, introductory, flight together. Tell the world of your aeronautic accomplishment! Advertise your services in style with one of these!